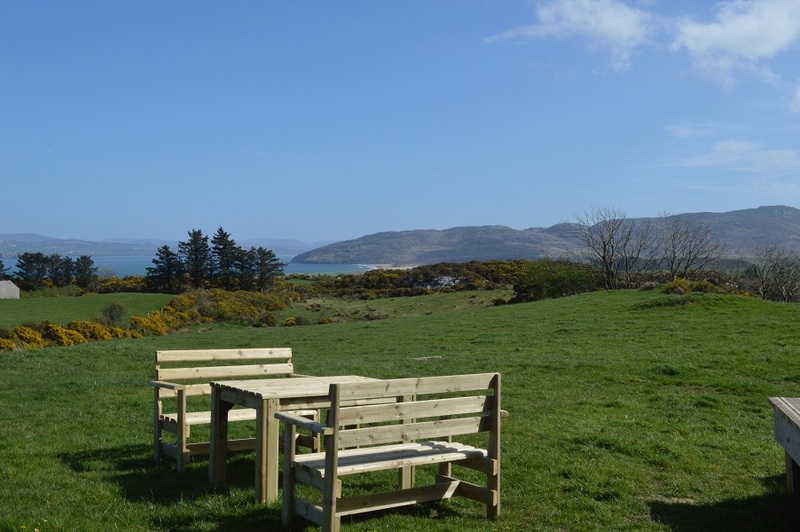 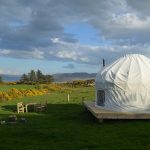 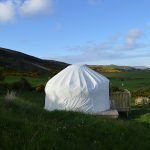 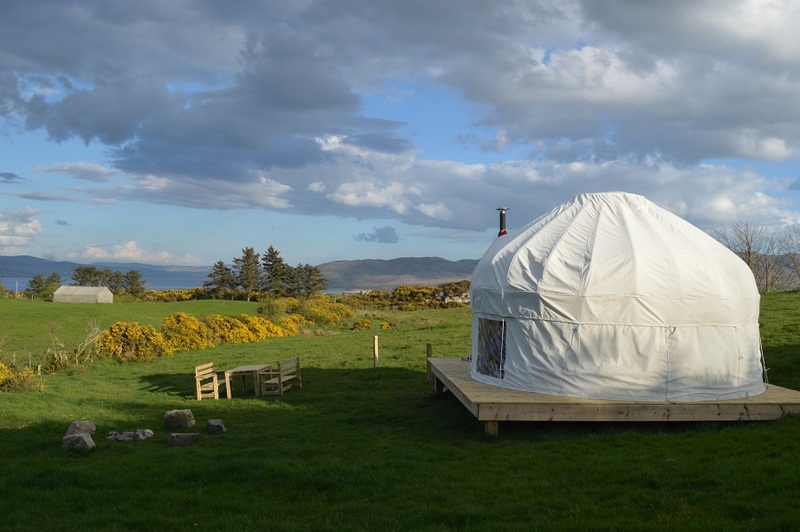 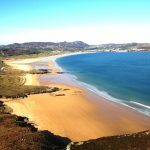 Ballymastocker yurt is situated in a picturesque spot with fabulous views of Ballymastocker strand and Knockalla mountain. 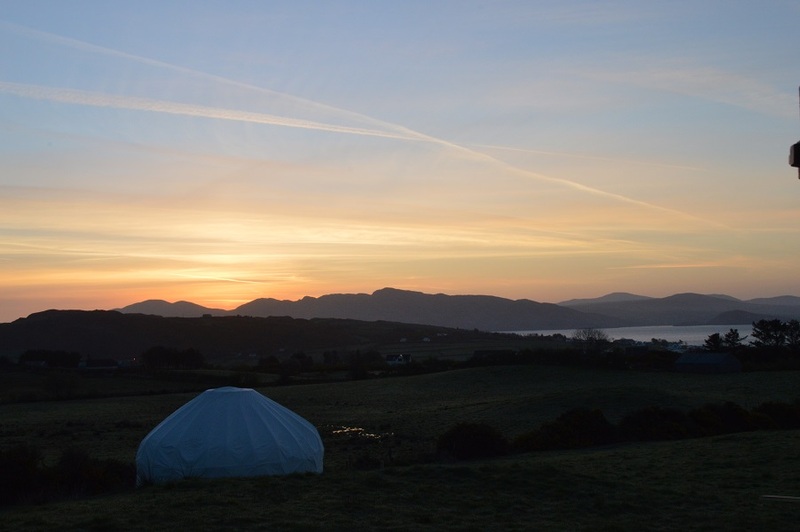 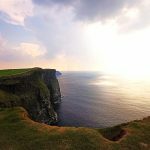 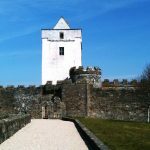 It is the perfect place to watch the sun rise in the morning and on a clear night you get a fabulous open night sky. 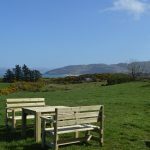 With easy access to the lane for loading and unloading your car it is nonetheless in a very peaceful and tranquil spot. 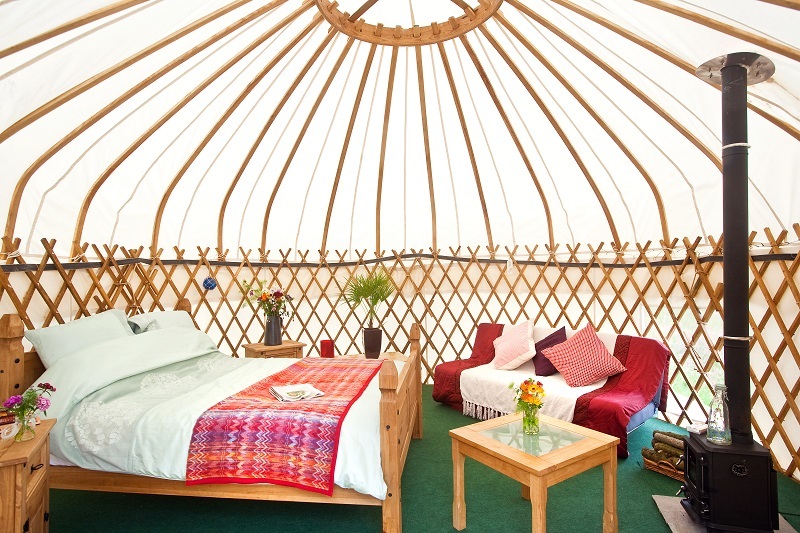 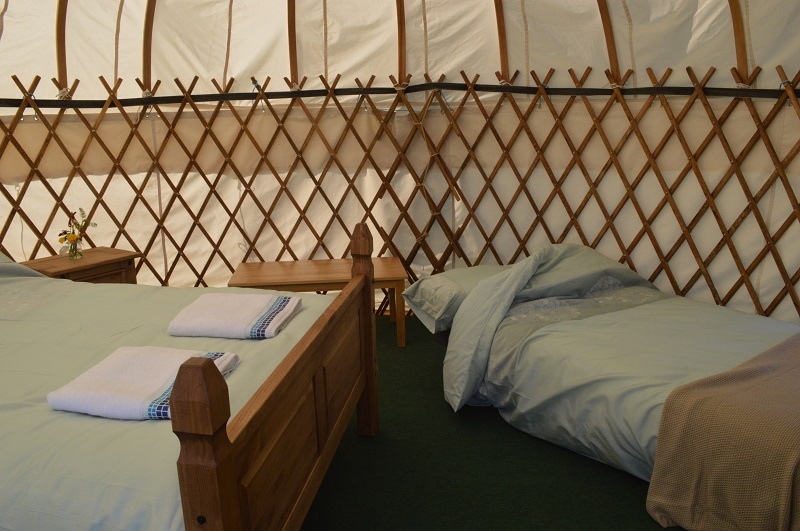 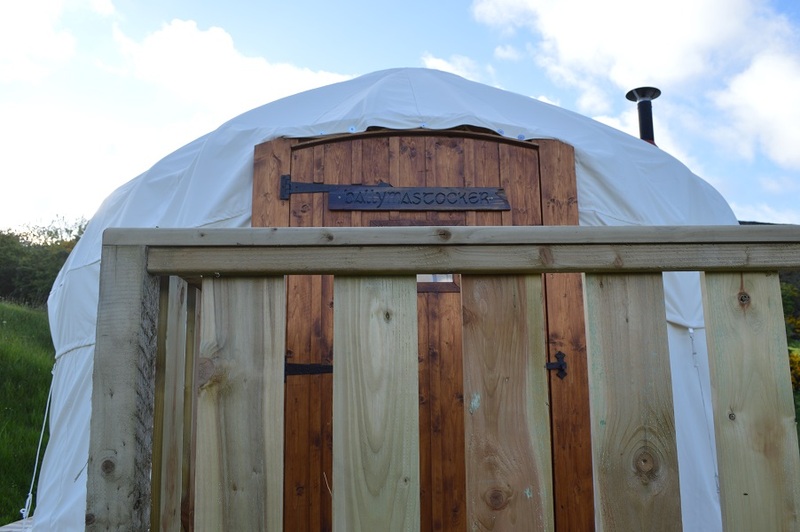 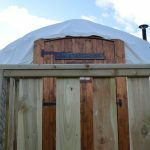 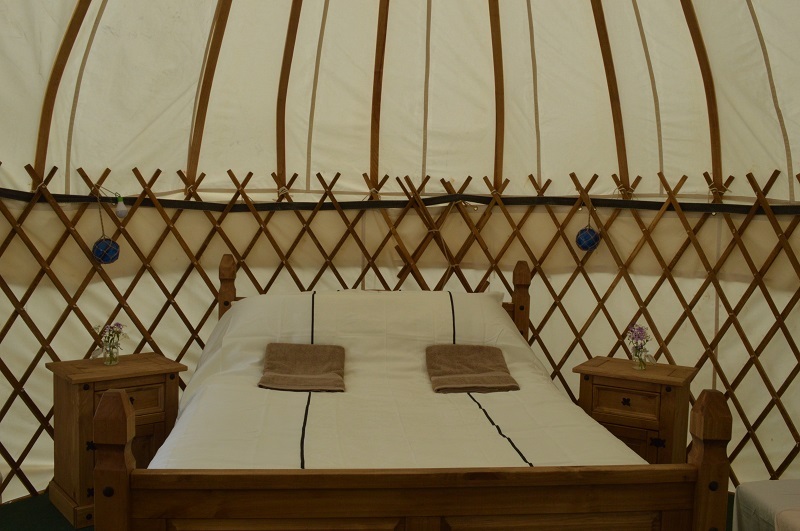 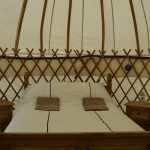 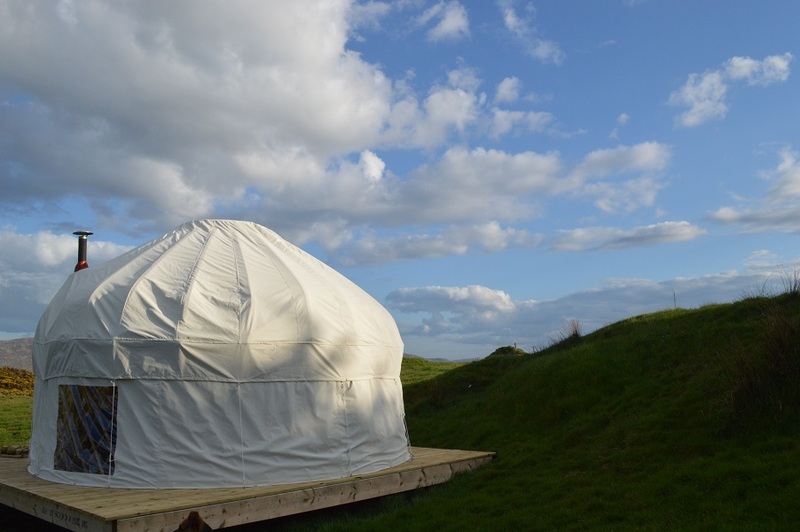 It is a perfect yurt for two people with a comfortable king size bed and bedside lockers. 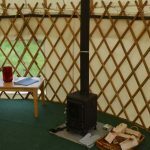 A sofa bed is also available for sitting in front of your lovely woodburning stove and this will open out for additional sleeping space when required. 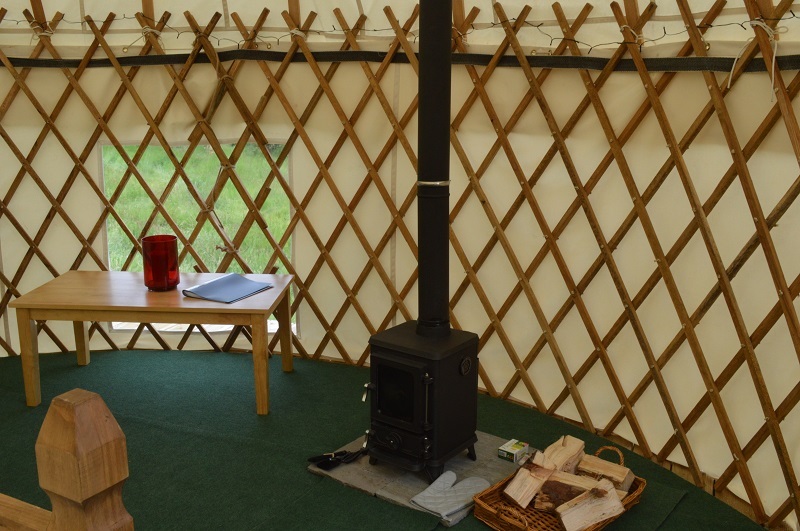 A lockable front door, smoke alarm and carbon monoxide detector are all in situ for your safety. 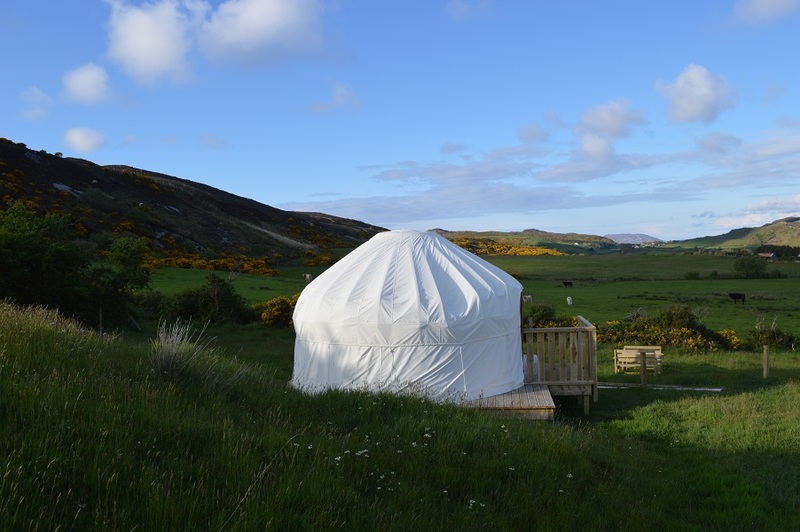 It is a 5 minute walk to the toilet/shower building and kitchen/lounge. 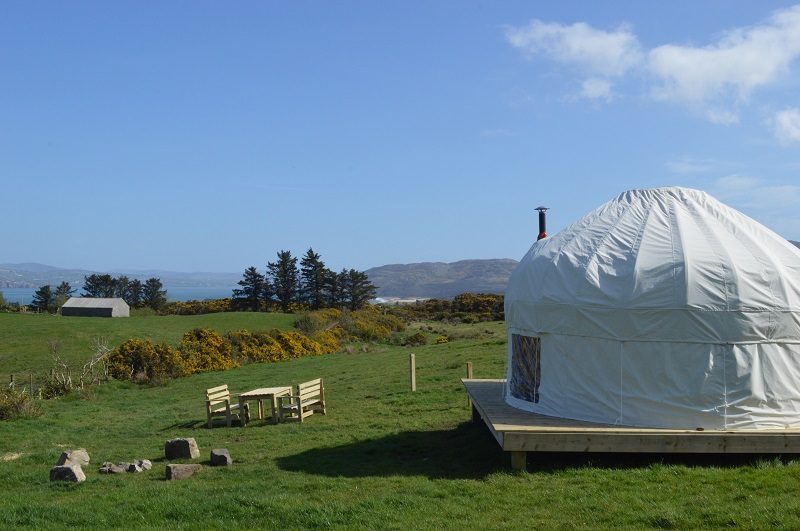 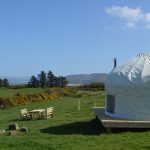 Book this yurt and relax and enjoy a peaceful retreat at Portsalon Luxury Camping. 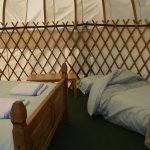 Call or email us for any further information.